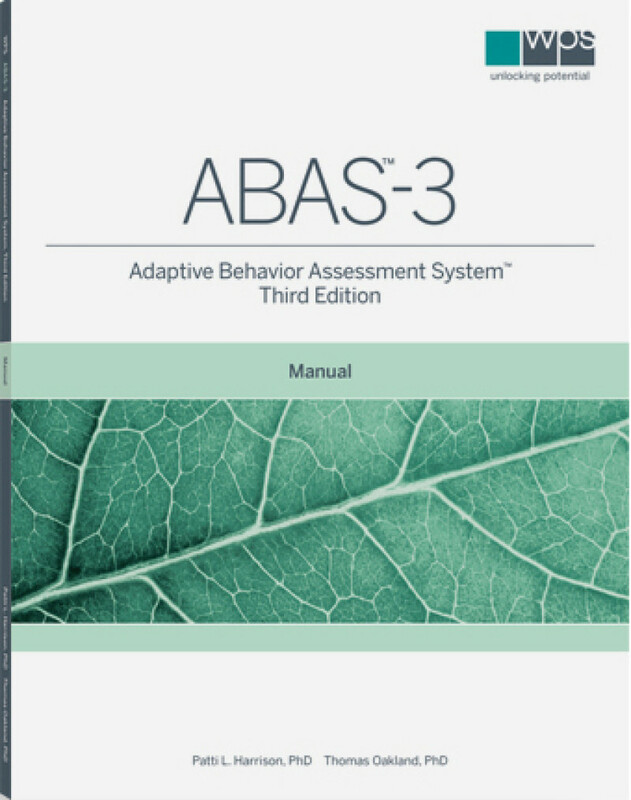 The ABAS-3 provides a comprehensive norm-referenced assessment of adaptive skills in individuals ages birth-89 years, and is especially useful for diagnosing and classifying various developmental, learning, and behavioural disabilities and disorders; identifying your clients' strengths and weaknesses; and documenting and monitoring progress over time. Suitable for ages 0-89 years. Retains all the essential features that made the second edition the preferred instrument but is even easier to administer and score. Particularly useful for evaluating those with developmental delays, autism spectrum disorder, intellectual disability, learning disabilities, neuropsychological disorders, and sensory or physical impairments. Integrates assessment, intervention planning, and progress monitoring. Developed with American Association on Intellectual and Developmental Disabilities (AAIDD), DSM-5™, and IDEA standards in mind. 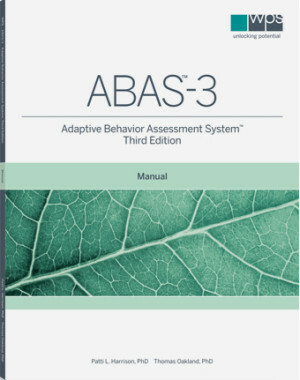 Within three major adaptive domains (Conceptual, Social, and Practical), the ABAS-3 assesses 11 skill areas: communication, community use, functional academics, health and safety, home or school living, leisure, motor, self-care, self-direction, social, and work. Items focus on practical, everyday activities required to function, meet environmental demands, care for oneself, and interact with others effectively and independently. On a 4-point response scale, raters indicate whether, and how frequently, the individual performs each activity. A General Adaptive Composite (GAC) is produced. Norm-referenced scaled scores are provided for the 11 skill areas; for the three adaptive domains and the GAC, norm-referenced standard scores, confidence intervals for standard scores, and percentile ranks are provided. In addition, all scores can be categorized descriptively. Norms are based on a large sample representative of the U.S. population.